Next Online Meeting is Saturday, April 20, 2019 from 9:30 am to 11:30 am. Do you have a technology expertise you would like to share? Is there a technology topic you would like to see us present? Complete our survey found here. If you do not currently receive our newsletter, please subscribe below. References to the Latest Tech Information. Suggestions for how to best prepare or where to find your next career opportunity. Webinar Description: GDPR is a four-letter word that has been evoking fear and panic for months now, and while this may be a European regulation, the impact is being felt around the globe, especially in the United States and Canada. Because of this, it’s imperative for you to know how this regulation is changing the course for IT Pros so that you will be fully prepared for when GDPR comes into force and not end up on the wrong side of an audit. We are spotlighting TestOut using the Security+ course they offer for our Security+ Study Group that starts on June 2, 2018. Members participating in the study group will purchase the TestOut courseware at a major discount. Attend the April and May online meetings for more information. CompTIA test vouchers are not included and would need to be purchased at the normal retail pricing. Microsoft Office Specialist (MOS) certification provides industry-leading assessments of skills and knowledge, giving students and professionals real-world exercises to appraise their understanding of Microsoft Office. Click the Learn more button for information on discounts to our membership. Webucator Self-paced Courseware an affordable alternative for learners seeking the flexibility to learn at their own pace. Content is delivered online using videos, readings, quizzes and exercises. The courses are written and delivered by the same expert instructors that teach their Instructor-led Online classes. Live, online training is also available from Webucator. TechSmith SnagIt 2018 and Camtasia 2018 brings screenshots and videos to life in an incredibly powerful way. Brand new editing capabilities let you truly transform your screenshots and videos. Whether you're explaining a process, training others, or marketing your business, visuals are the key to building successful content. Techsmith products make it fast and affordable for you to create the images and videos you need to effectively communicate your message. Azure Essentials is the best place to get started with Azure and learn new skills. Get comfortable with the basics here, then dive deeper into Azure through access to free Pluralsight courses, Hands-on Labs, and Azure certifications. 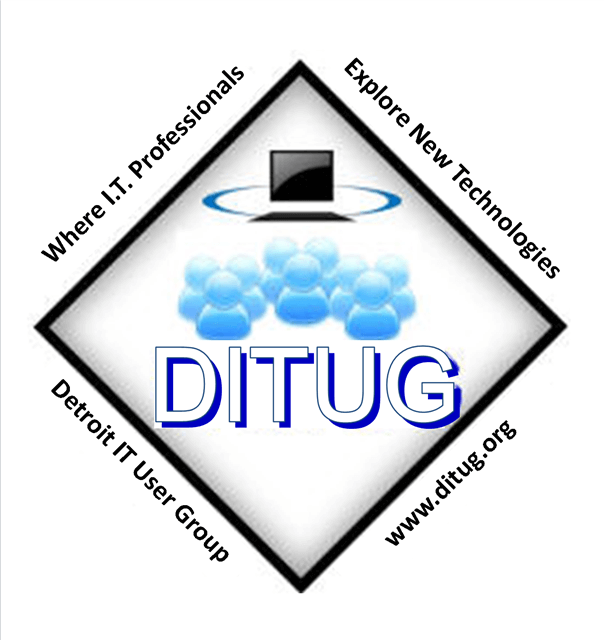 This general IT User Group has been formed to bring together current technology students and alumni, technology and network professionals, IT educators and educational support staff and SMB owners, managers and support personnel within the metropolitan Detroit area in an effort to explore and understand new and emerging technologies and IT services, i.e. Unified Communications, Virtualization, NAS, Wi-Fi/WiMAX, Web 2.0, Managed Services, Cloud technologies, etc. The group invites speakers and members of the IT community to share their insight and experience in these areas by way of presentations and demonstrations.